While we offer continuing education credits to nurses and massage therapists, our courses are open to everyone, regardless of your level of experience. At Healing in America, our core belief is that everyone has an innate ability to heal themselves and others; and through training and mentoring, individuals can learn about and develop their energy healing gift to bring balance to mind, body and spirit. Returning to wholeness comes from being our true selves – shining from the inside out and letting go of limiting beliefs that hold us back. We believe this integrative approach to healthcare and wellness is the key to providing good health to all. We foster the highest standards of ethical and professional practice in delivering the Healing in America energy healing method. Our vision is to act as a catalyst to help integrate complementary therapies into main stream health care, in line with practices in Europe, working alongside the medical community. Healing in America builds on the work that originated in England in 1954 by well-known healer Harry Edwards, In England healing [also known as energy therapy] is recognized as a valid therapy by the National Health Service. Classes have been offered in the United States since 2003. Our program is based on a proven model which has been very successful for over six decades, and workshop attendees benefit from those many years of experience. Individuals who wish to develop their gift are offered advice, training, and a program with a structured syllabus. Our approach is very “grounded” with no mystery as to how it works. 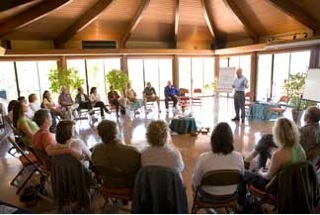 You do not have to become a member of Healing in America in order to attend the courses. An excellent introduction to the our modality can be found in a ten minute film about the Harry Edwards Healing Sanctuary.